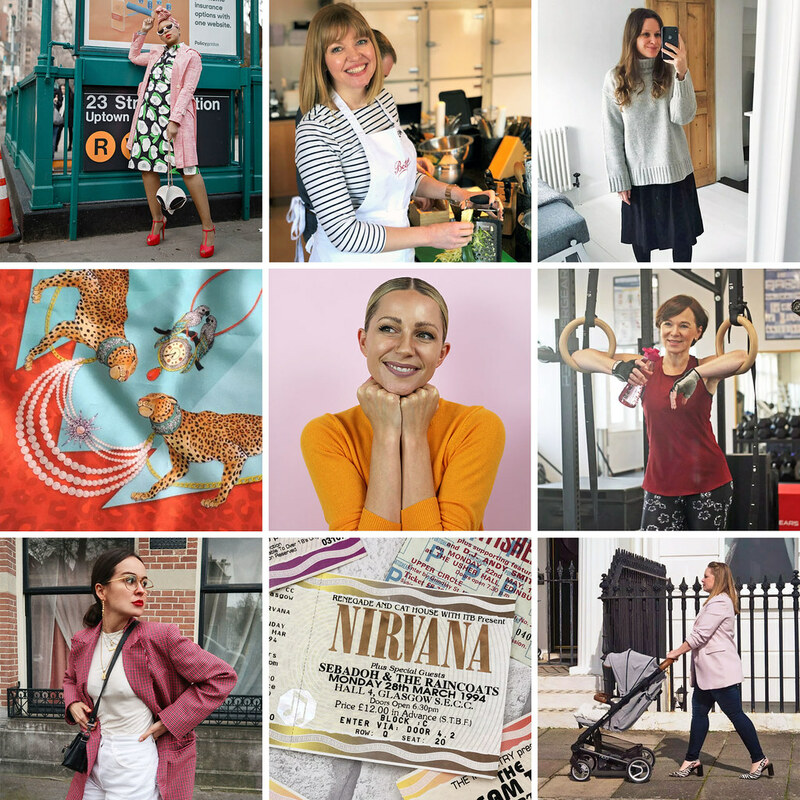 In my Best of the Blogosphere this month I have mum body acceptance, a positive (NYC) people experience, money mindsets and more! Spring has pretty much sprung in the UK I’m glad to say, and on the days when you can’t get out the house to enjoy all the cherry blossom, blooming magnolia and blue skies then there’s always my top links for March to read right here in your web browser! I found SO many great posts and articles this month – I especially loved the fashion topics which covered everything from dressing for yourself to leather pants in spring, to colour consultations and clothing subscriptions. WHAT LINKS DID YOU LIKE – AND HAVE YOU FOUND ANY FABULOUS NEW BLOGS TO FOLLOW? COMMENT BELOW…! Andy in a super stylish all-white look (with a hefty dose of pink checks and red lips). Leather pants in spring? When they’re styled in a feminine way like this, yes please. How much UK influencers are earning per post proves that unless we share what we charge with others and how much companies are willing to pay content creators, there will always be those who (unknowingly) undercharge and allow brands to continue to pay us too little – or nothing at all. How Kimberly changed her money mindset to earn more and work less (very relevant to the link above). She’s shared some great links to courses that will help. For someone who’s rarely seen without sunglasses, it’s really interesting to see Blair’s daily makeup routine step-by-step. I’m sure many of you can relate to Amber opening up a box of her stuff from her parents’ attic and having no idea what she’d find (like lost Nirvana tickets and a handwritten letter from a pre-fame Susan Boyle). Lyndsay talked about tackling “mum body” hangups and started with perfectly-fitting jeans. When Instagram went down a couple of weeks ago it didn’t really affect me as I was working in a studio all day, but The Great Instagram Crisis of 2019 prompted Hayley to ponder how much we’re all relying on the photo-sharing app. Tiffany had the most positive people experience in NYC – all because of the bold, bright outfit she was wearing. I’m not normally one to “believe” in having your colours done, but Lisa’s post about a London style team who offer very different colour and style consultations has me convinced. “These subscription boxes are not doing you any favors. It doesn’t make shopping easier because the majority of the items that arrive aren’t what you want or need.” Alison cancelled her clothing subscription box, and it makes sense why. Always one of my favorite posts! I find at LEAST one great new blogger to follow each time! I will bookmark this unmissable reads roundup, they sound like some great selectionss, thanks Catherine! Thank you so much for the mention, Catherine! It’s a fantastic idea, Annette – I NEED the encouragement! Hmm there seems to be a big difference between earning potential in the US compared to the UK. If only people would SHARE what they get out of brands when you ask for help, then everyone benefits because no one would undercharge! This keeping everything to yourself helps no one! !